ST Foundation and its long time DU partners METID (Politecnico di Milano, Metodi e Tecnologie Inoovative per la Didattica) and MLFM (Movimento per la Lotta contro la Fame nel Mondo), decided to launch a new initiative in order to spread computer literacy in Rwanda through Digital Unify. Two reasons have particularly motivated the choice of this country: a national priority given to ICTs through a vast program called Vision 2020 which creates a favorable climate for development of such projects; the presence of skilled staff on the ground during the project who have already worked with ST Foundation and can therefore bring their DU knowledge to Rwanda. 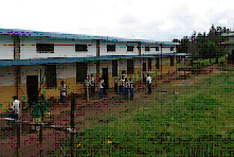 The lab will be located at Alessandro Sauli High School in Muhura, a rural region at the east of the country. 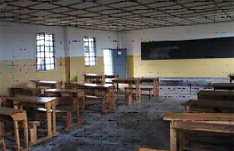 The said educational facility is run by the Congregation of Fathers Barnabites and its curriculum focuses on accounting. The lab has been operational since 2009 and DU has reached the student population (which totals around 1000 pupils) as well as the surrounding community. Motivated trainees who wish to do so, will follow ICBF (Informatics and Computer Basics Facilitation), after attending ICB (Informatics and Computer Basics) courses, in order to spread the benefits of digital technology to others and help bridging the digital divide. DU Rwanda has reached over 2’898 trainees as of Q3 2013.